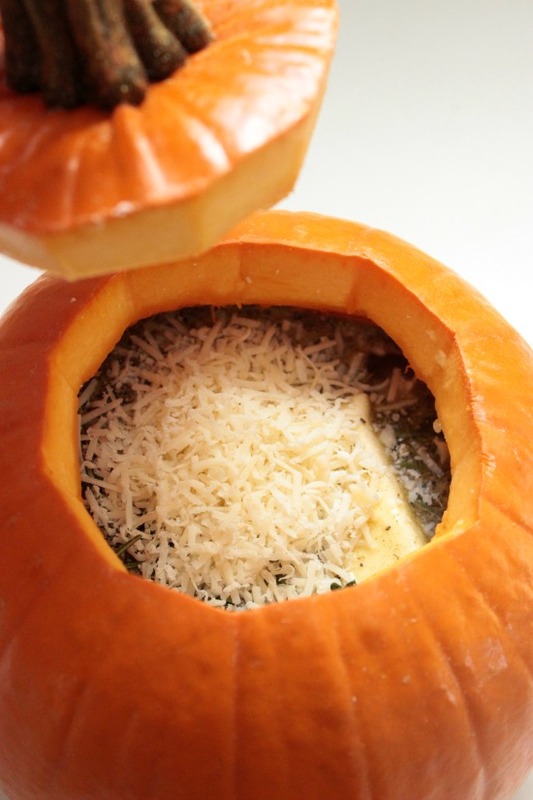 Every wonder what it would be like to make Pumpkin Soup Cooked In a Pumpkin? Well now you can find out! I’ve got a great recipe that you’re sure to love! When I’m cooking dinner he’s already hungry and ready to eat and I’m adding a “dash of this and a dash of that” and tasting and adding something else and test tasting and he is all like “WOMAN I’M STARVING JUST LET ME EAT!” haha 🙂 Poor Thing. But hey, I have to make sure it’s prefect! What’s the point in cooking if it’s not going to taste spectacular! Right?! 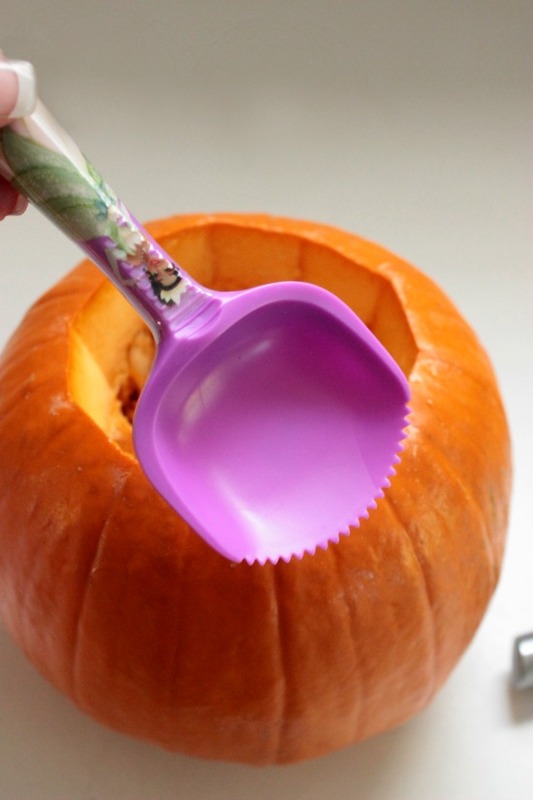 A few weeks ago my sister-in-law, Rachael, found a video online that showed someone making soup inside of a pumpkin. 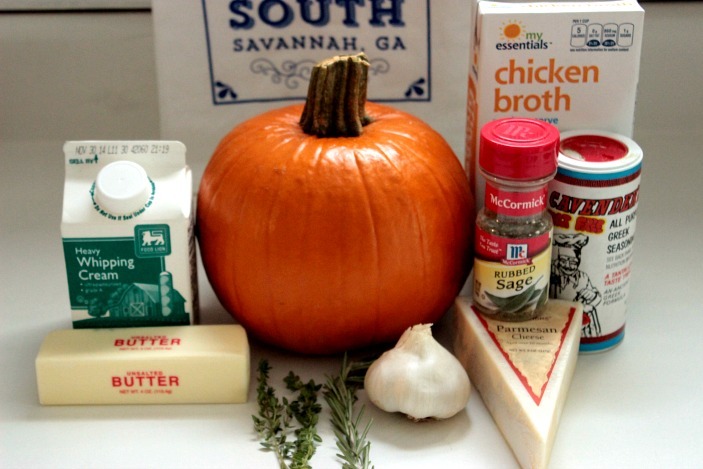 They filled a pumpkin full of chicken broth, rosemary, sage and Parmesan and then baked the pumpkin in the oven. After it was baked they served it by scooping out the pumpkin into a bowl and topping it with broth. Rachael decided to give it a go and after some advice and a few text messages to her awesome foodie sister (ME haha) she had pumpkin soup! That afternoon she drove up to to our Grandma Mary’s house with my niece, pumpkin soup and pumpkin bread in tow. BigBear and I picked up some Pumpkin Ice Cream and Pumpkin Coffee creamer and met her there to surprise BigBear’s Grandmother with a Pumpkin themed dinner! 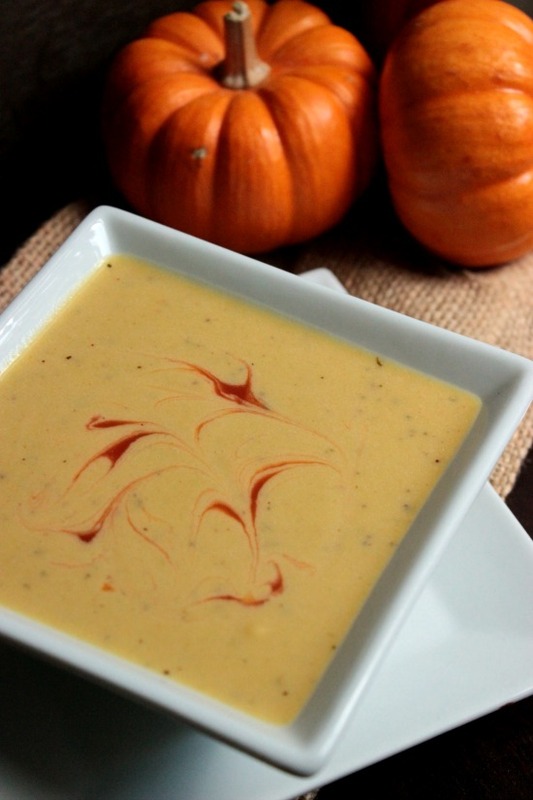 So how was the original pumpkin soup? It was good. It just needed something. I personally liked it but it needed something extra. The flavor was good but it was flat….it didn’t have that flavor kick that I was expecting. So we sat around sampling the soup and each threw out ideas on what would “kick it up a notch”. Rachael sent me home with some of the soup to experiment with! So with leftover soup in hand (ok the left over soup was technically in a container) I went home and started my process of “adding a little of this and a little of that” cooking. 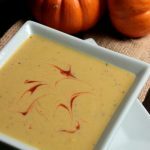 After some trials and testing, I was left with velvet smooth, creamy pumpkin soup with a dash of spice that sat perfectly beside of a grilled cheese sandwich! So here is how I made it! I’ve got all the amounts and ingredients listed at the bottom of the post for you! Wash and dry the outside of the pumpkin. 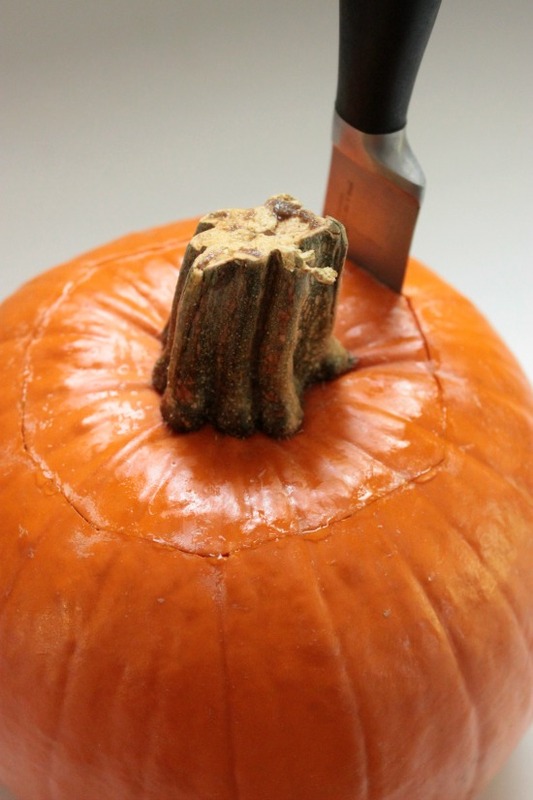 Cut the top off of the pumpkin, just like you would if you were going to carve it. Just so you know, the little scoop tool that comes in the “Carving Template Sets” makes this so, so easy! Pour everything into the pumpkin EXCEPT for the 1 pint heavy whipping cream and the Texas Pete. 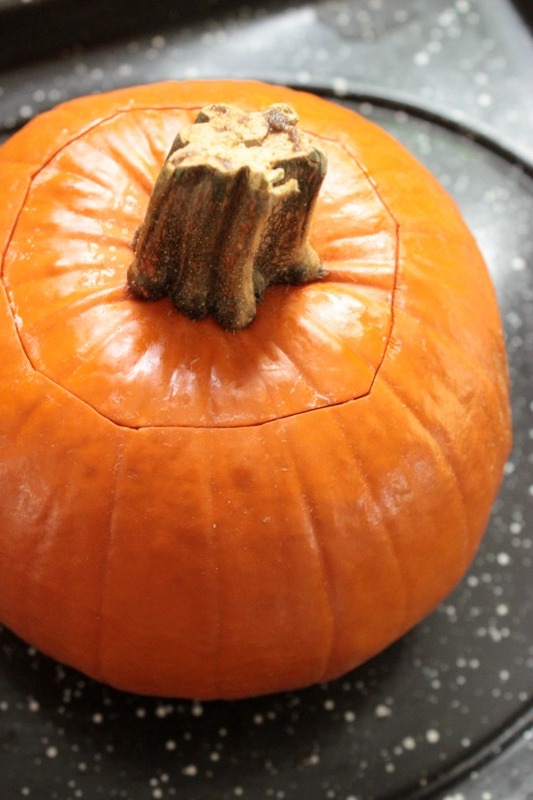 Put the top back onto the pumpkin and place the pumpkin onto a rimmed baking sheet. 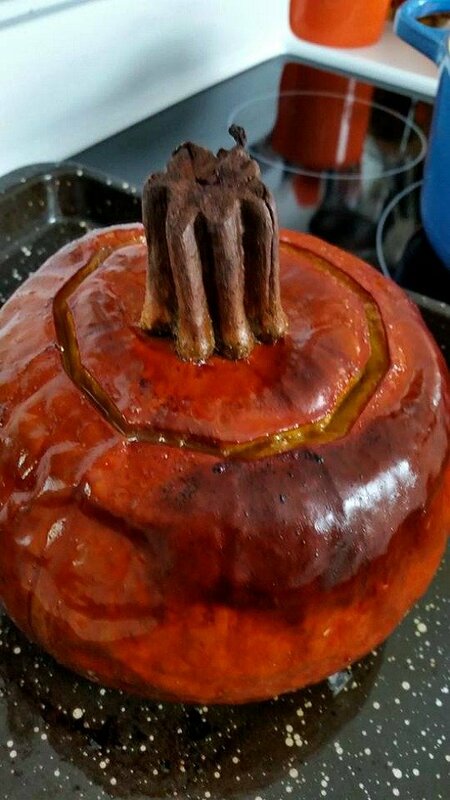 Carefully remove the pumpkin from the oven and let it cool just a bit. Pour the soup into a blender. 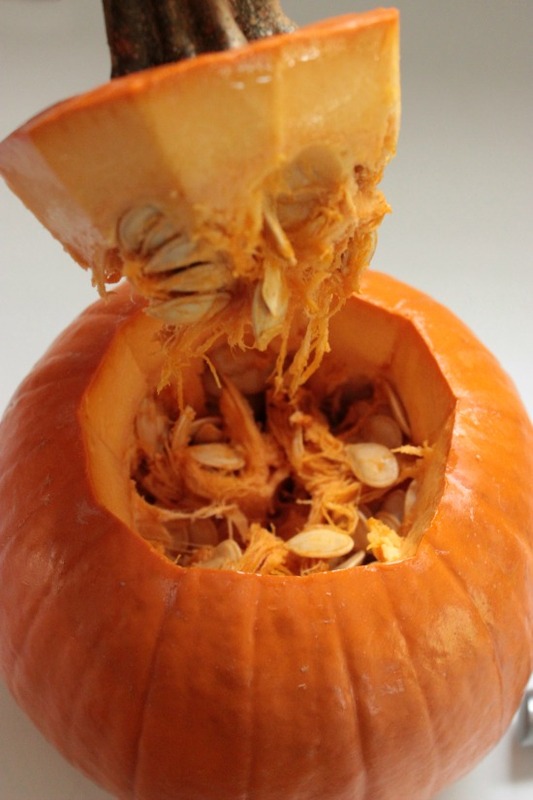 Now this will be a bit messy but scoop the pumpkin meat from the skin. 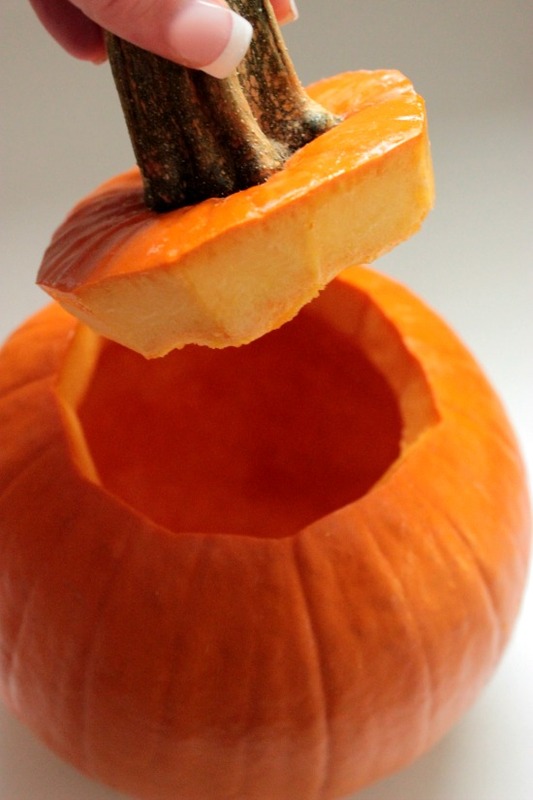 Add the pumpkin meat to the blender. Puree until smooth. 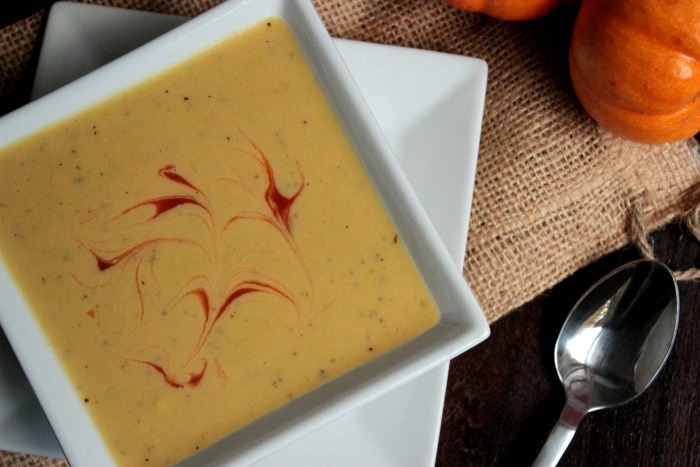 Add pureed pumpkin soup to stockpot and heat. Once hot, add the whipping cream. Stir well. Add in Texas Pete and stir. 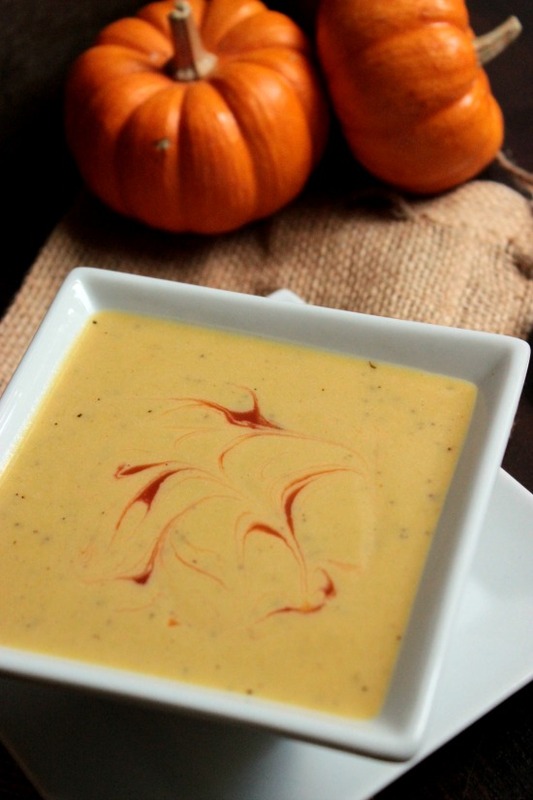 Pour everything into the pumpkin EXCEPT for the 1 pint heavy whipping cream and Texas Pete. Pour the inside soup into a blender.